Ultimate style, texture and performance. 100% polyester Willowtec mens fashion cool mesh golf shirt. 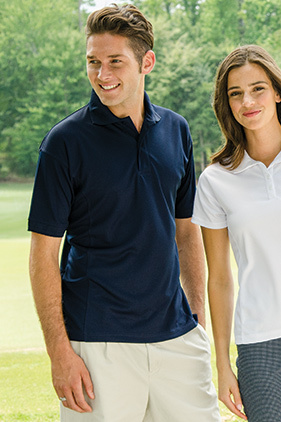 Moisture wicking and anti-microbial treatments. Dyed to match side panels and sweat patch. Two button placket with dyed to match buttons, raised rib collar and welt cuffs. Extended tail with side vents.